Imagine No Malaria is part of a global partnership and together with our partners, our generation can beat malaria once and for all. Can We Catch a Killer? Every 60 seconds, malaria claims a life in Africa. 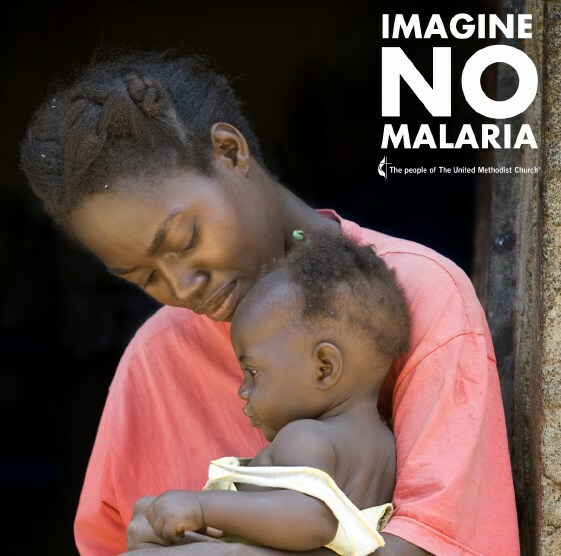 The people of the New England Conference of The United Methodist Church are unified in the fight against this preventable killer through Imagine No Malaria. Imagine No Malaria is an extraordinary effort of The United Methodist Church. Across the denomination, we are putting our faith into action to end preventable deaths from malaria in Africa, especially those of children and mothers. Achieving that goal requires an integrated strategy against the disease. What began as Nothing But Nets in 2006, has become a comprehensive, life-saving ministry – Imagine No Malaria – that aims to empower the people of Africa to overcome the burden of malaria. We in the New England Conference are part of this effort to eradicate a killer. Just a few short years ago, statistics showed a child died every 30 seconds of malaria. Today, because of your dedicated and generous support by United Methodists, malaria’s impact has been cut in half. According to the World Health Organization (World Malaria Report 2011), this disease now claims a life every 60 seconds. We seek to end all preventable deaths from malaria, so our journey continues…. Now, Imagine No Malaria helps us take the next step in this fight (think of it as Nets Plus). We’re doing more and addressing this issue on a variety of fronts, including Prevention, Education, Communications, and Treatment. Congratulations, New England. We have met our goal of raising $1 million – saving 100,000 lives. Thanks be to God and to everyone who contributed to this amazing effort! Local churches wishing to celebrate during worship or a congregational event can use this PowerPoint presentation and litany (located in the notes section). Some of our amazing stories and experiences are documented in this INM summary.